What tales would our luggage tell if it could speak of our life’s travels? 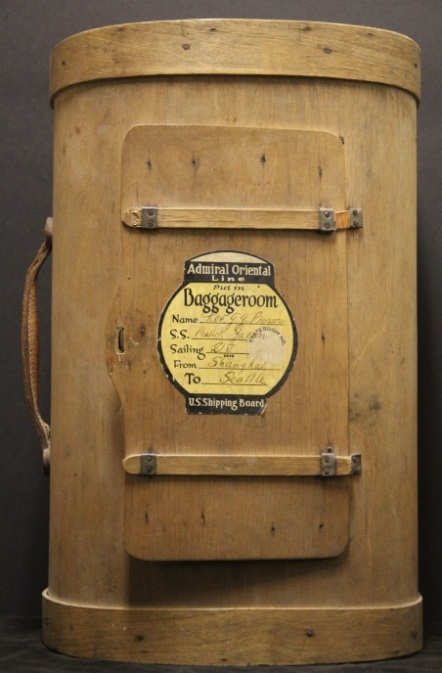 This unassuming box (86.68.1), a part of the Sitka History Museum’s permanent collection, embodies a story which far exceeds its humble form. The container itself, a semi-cylindrical wooden box with a leather handle and a hinged wooden opening, bears no decoration save a luggage label from the Admiral Oriental Line. The label informs us that this container belonged to Father G.G. Prosor, who brought this luggage with him when he departed Shanghai for Seattle. Born Gregory G. Prosoroff in Vladivostok during the year 1893, Gregory left Russia during the unrest leading up to the Russian Revolution. According to documentation accompanying the donation, Gregory carried his possessions to China in 1915 at the onset of the social and political turmoil in Russia. At some point between Russia and Shanghai, he shortened his last name to Prosor. Although no currently-known record exists of Father Prosor’s arrival in Sitka, the luggage label provides some clues. In 1916, several companies merged to form The Pacific Steamship Co. This company, headquartered in Seattle, operated the “Admiral Line” with steamships traveling as far as Singapore by 1917. The name changed to the “Admiral Oriental Line” in 1924 when millionaire, Robert M. Dollar, purchased a majority interest in the company. The line offered both freight and passenger accommodations. By 1927, Dollar once again renamed the company the “American Mail Line”. This suggests that Father Prosor may have set sail sometime between 1924 and 1927. Father Prosor traveled to Sitka to serve as a clergyman for the Russian Orthodox Church, St. Michael’s. 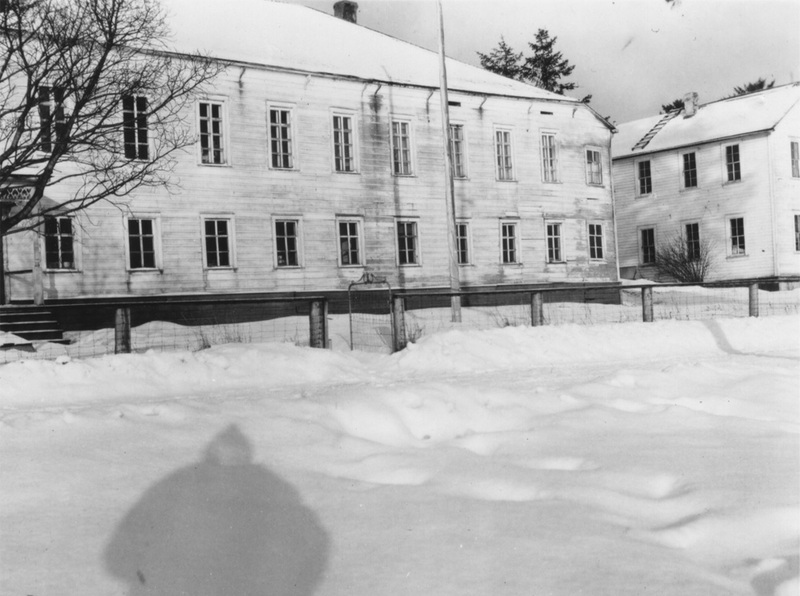 In the Sitka Historical Society’s archives, a lone photograph titled, “Father Prosor’s Shadow” depicts only his silhouette cast on the snow before the Russian Bishop’s House. 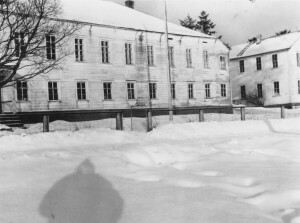 A “28” stamped on the back of the photograph offers a clue as to the possible date of the photo. In January of 1930, the Fairbanks Daily News-Miner reported that the diocese had transferred Father Prosor from Sitka to the United States. He left Sitka with his wife and two children and moved to San Francisco. Their stay only lasted a short time, and the Prosor family soon moved to Los Angeles. Father Prosor made the newspapers again in July of 1944 when he officiated the wedding of Hollywood film writer, Casey Robinson, and ballerina, Tamara Toumanova. Father Prosor passed away in Los Angeles in 1946, but this simple piece of luggage lives on to remind us of Father Prosor’s life and of his time spent in Sitka.